One of the seven wonders of the ancient world was the Temple of Solomon. Solomon’s father, King David, accumulated many materials and treasures that were eventually used in building the temple. Mount Moriah was the site of the construction, the place where Abraham offered Isaac as a sacrifice. The temple was constructed of massive stones, beams from cedar trees, and boards with gold overlay. It took seven years and tens of thousands of artists and craftsmen to complete it. It’s estimated that the cost of the temple in current money values would be in the range of three to six billion dollars. 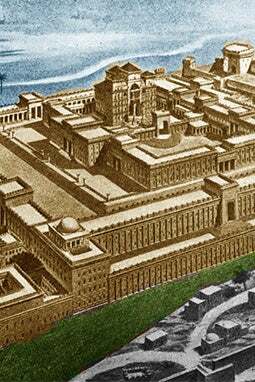 Solomon’s Temple was eventually demolished by King Nebuchadnezzar and the materials were taken back to Babylon. Many believe that the Jewish temple will be rebuilt before the antichrist seizes power and Jesus returns.